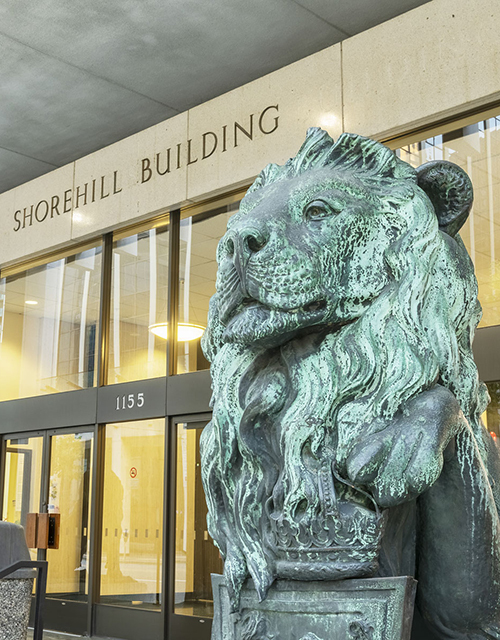 Built in 1967, The Shorehill Building at 1155 West Pender Street is a well-recognized landmark in the financial core, with its bronze lion statues flanking either side of the front entrance. 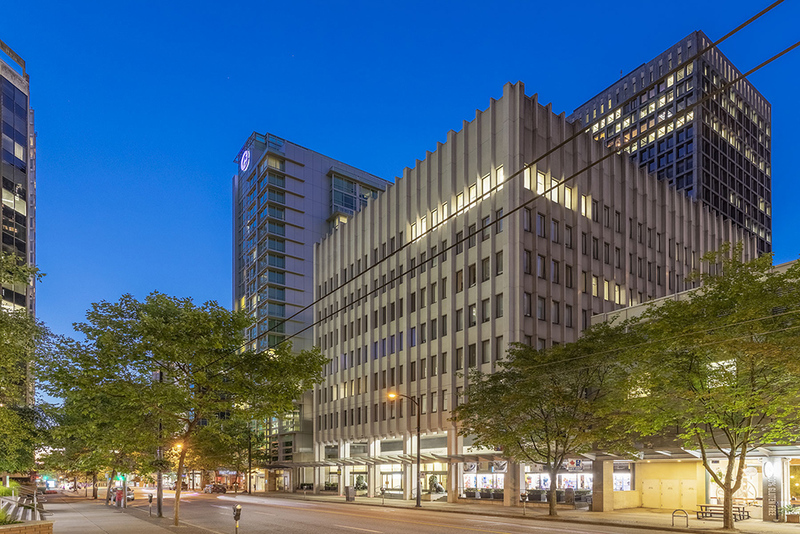 First renovated in 1993, it holds 7 floors of 11,618 square feet, totalling 83,068 square feet. 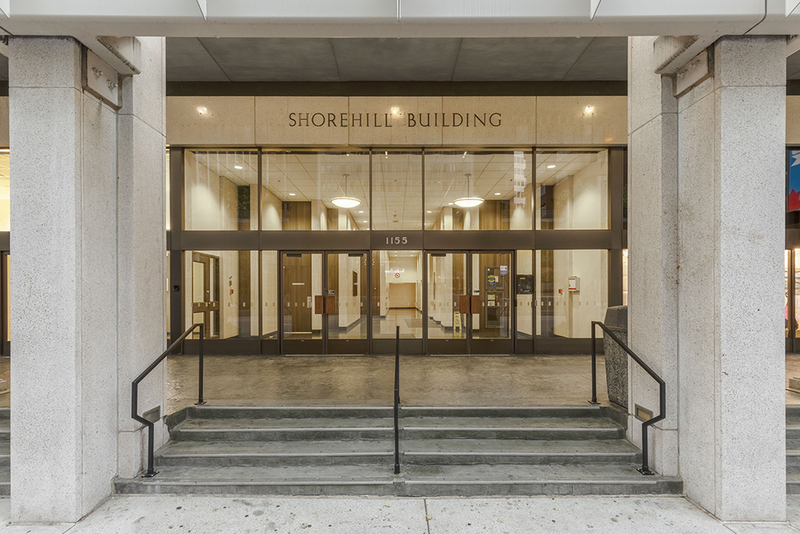 With a full interior renovation of common areas and finishes starting 2018, The Shorehill Building will offer a bright new look for discerning downtown tenants. 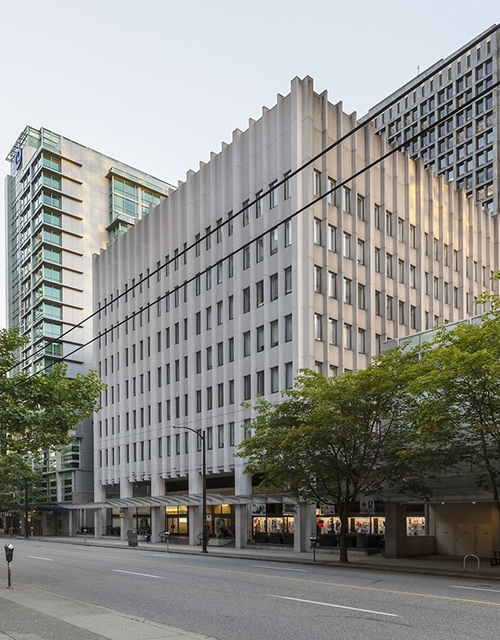 The Shorehill is centrally located in Downtown Vancouver between Thurlow and Bute Streets, on the north side of West Pender. 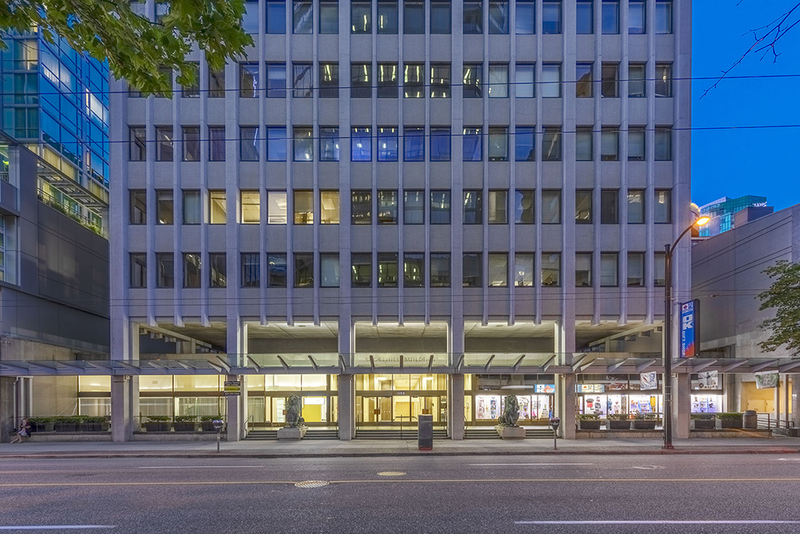 With a Walk Score of 97 and a Transit Score of 100, the site offers unparalleled flexibility and convenience for commuting and meeting.